The twin villages of Shipton Oliffe and Shipton Solers are situated just 7 miles (11 km) from Cheltenham. A tributary of the River Coln flows through the village over two fords and innumerable little water splashes, creating ornamental lakes in private properties. The Gloucestershire Way long-distance footpath passes through the village. Shipton Oliffe is represented by the county councillor for Northleach division and the district councillor for Sandywell ward on Cotswold District Council. 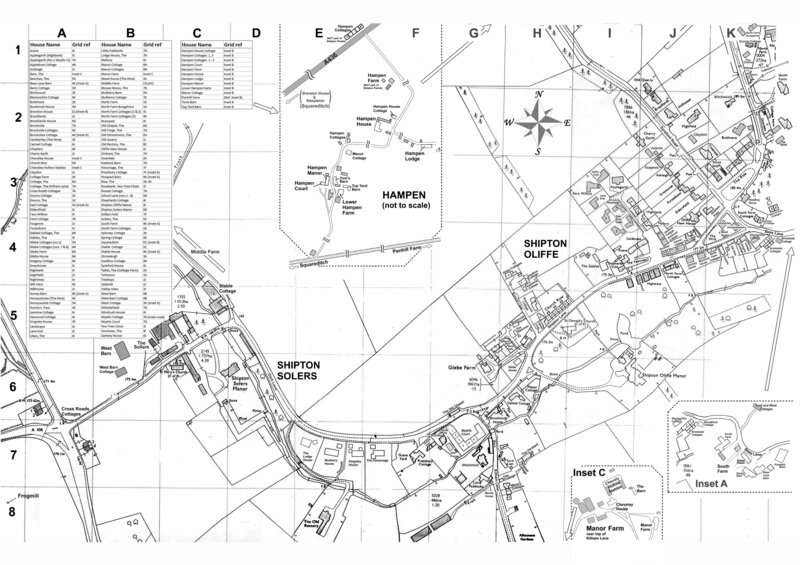 If you would like to know more about the history of Shipton, we have a website that should be of interest. The site contains notes, photographs (some of which have recently been on display in the Reading Room) and a timeline that starts to tell the story of our village from the Iron Age up to the end of the last century. If you have any historical material that could help the project tell more of the Shipton story, please let us know via the 'Contact Us' page, we would be very interested to discuss this with you.